ACLD’s Kramer Learning Center and the Alan & Ellen Spiegel Children’s Center are committed to providing a continuum of services to children from ages 3 to 21 including educational, family support services, transition from school to work and service coordination. 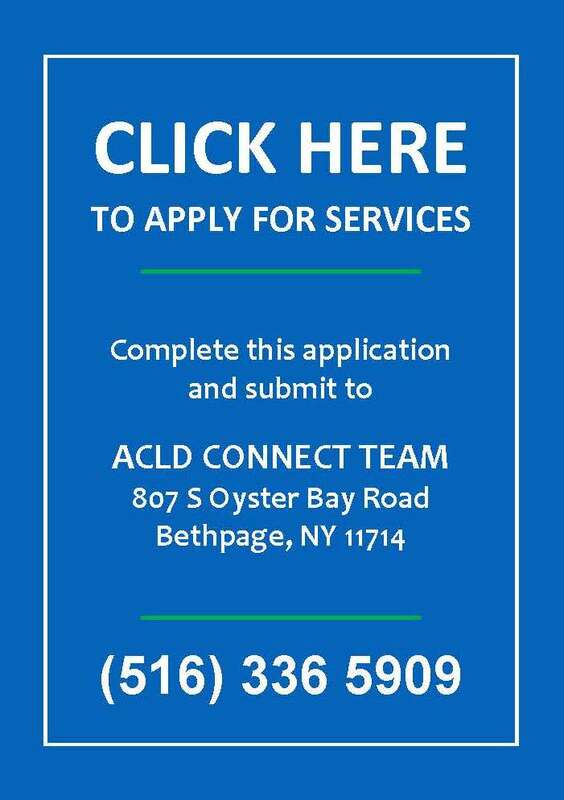 Services may be funded by local school districts, the New York State Office For People With Developmental Disabilities (OPWDD), local office of Vocational and Educational Services for Individuals with Disabilities (VESID) and Medicaid. ACLD’s Preschool Education Programs at Kramer Learning Center and The Alan and Ellen Spiegel Children’s Center are designed to meet the individual needs of young children diagnosed with developmental disabilities. Quality education and therapeutic services are provided during school hours by a highly trained, dedicated staff of professionals that includes: Special Educators, Speech/Language Pathologists, Clinical Psychologist, School Psychologists, Board Certified Behavior Analyst (BCBA), Occupational Therapists, Physical Therapists, Clinical Social Workers, Social Workers, Registered Nurse, Certified Teacher Assistants, Behavior Support Specialists and Teacher Aides. Additional supports include Foster Grandparents, Pet Therapy and Music and Creative Arts Therapy programs. Preschool services offered at both sites include developmental evaluations, center-based classrooms and community based support services of a Special Education Itinerant Teacher and/or Itinerant related clinical services. Special Education Itinerant Teacher – 1:1 Special Education Teacher support given within a typical community based preschool. Psychological and other evaluations conducted in areas of a suspected delay or disability, for purpose of establishing eligibility for preschool special education or itinerant clinical services.